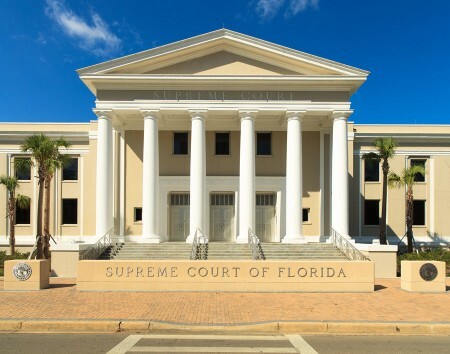 A closely divided Florida Supreme Court on Thursday reinstated a bad faith judgment against Geico Insurance, concluding in a 4-3 decision that the insurer had improperly exposed a policyholder to an $8.5 million judgment in a wrongful death action. Writing for the majority, Justice Peggy A. Quince emphasized insurers’ duty to zealously represent customers against potential lawsuits. That obligation is “not a mere checklist,” Quince wrote. “An insurer is not absolved of liability simply because it advises its insured of settlement opportunities, the probable outcome of the litigation, and the possibility of an excess judgment,” she said. Quince rejected arguments that the insured in the case, James Harvey, who ran his vehicle into motorcyclist James Potts in Palm Beach County in 2006, failed to turn over a statement of his assets. “The focus in a bad faith case is not on the actions of the claimant but rather on those of the insurer in fulfilling its obligations to the insured,” she wrote. Chief Justice Charles Canady penned a strongly worded dissent. “By adopting a negligence standard in all but name, ignoring the controlling conduct of the insured and the third-party claimant, and relying on unsupported assumptions, the majority incentivizes a rush to the courthouse steps by third-party claimants whenever they see what they think is an opportunity to convert an insured’s inadequate policy limits into a limitless policy,” he wrote. Justices Jorge Larbarga, Fred Lewis, and Barbara Pariente concurred with Quince’s opinion. Alan Lawsonand Ricky Polston joined the dissent. The majority cited evidence that a Geico claims adjuster — cited twice internally for organizational problems — failed to timely pass information back and forth between the Potts estate and her client and his lawyer. Geico did offer to settle up to Harvey’s $100,000 policy limit, but the Potts estate turned that down and went to trial, winning the big jury verdict. A jury sided with Harvey in his subsequent bad-faith claim against Geico. The 4th Circuit Court of Appeal overturned the verdict, saying the evidence hadn’t established bad faith, even if Geico had mishandled the claim. In her opinion, Quince said the 4th DCA misread the high court’s precedents and improperly cited an 11th U.S. Circuit Court of Appeals ruling that also got Florida law wrong. The fact that Harvey never turned over the assets statement didn’t matter, Quince argued. “Nothing in our precedent can be read to suggest that an insurer cannot be found liable for bad faith merely because the insured could have attempted on his own to avoid the excess judgment,” she wrote. To rule otherwise would allow insurance companies to “put forth any evidence that the insured acted imperfectly during the claims process” to absolve themselves of bad faith. Canady emphasized that Harvey and his attorney knew about the request for the asset information and never offered to provide it. “It is not that the 4th District erroneously blamed Harvey for failing to do more to avoid the excess judgment. Rather, it is that Harvey and his attorney — not Geico — controlled the only relevant decision that needed to be made,” he wrote. “Although Geico’s agent handled the claim less than perfectly, negligent claims handling does not equate to bad faith … The majority’s decision to reinstate the jury verdict muddies the waters between negligence and bad faith and bolsters contrived bad faith claims,” he added. “The result of the majority’s decision is that an insured who caused damages that exceeded his policy limits by over 8,000 percent, who had assets that greatly exceeded his policy limits, and who at no time ever offered to provide his financial information to the third-party claimant despite knowing that the information was being requested even after the policy limits were tendered, has his $100,000 policy converted into an $8.47 million policy, while other insurance customers eventually foot the bill,” Canady concluded. In a separate dissent, Polston argued the high court never should have taken the appeal, because the 4th DCA hadn’t got the precedents wrong. 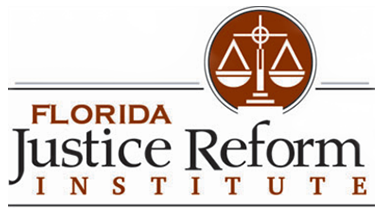 Florida Justice Reform Institute President William Large issued a written statement condemning the outcome. The ruling, “once again confirms that the legislature must set clear, objective standards in statute for avoiding bad faith while settling insurance claims,” he said.